This was a long and emotionally exhausting project that ultimately resulted in a very good flat roof and excellent metal work (according to our roof inspector), but unfortunately left hard feelings on all sides. MG Roofing owner Marvin Garcilazo first gave us an estimate to do a flat roof replacement with no demolition or structural work for $6000. After we noticed that the roof was somewhat soft he cut some test holes and told us that we had a second false roof over the original roof, and proposed demolishing it and re-roofing the original roof; the quote for that part of the job increased to $15,000 to reflect the additional labor and materials. We agreed with this approach, and then worked for several weeks with Mr. Garcilazo to draft a mutually-agreeable scope of work based on several emails he sent us quoting various options and parts of the project. We signed the contract in November and hired a roof inspector to oversee the project. We had a slight hiccup with the DCRA permit, which MG Roofing obtained, because Mr. Garcilazo told us only three business days before the planned start date that DCRA requires signed 'permission slips' from both neighbors with a 10-day notice period. Once demolition began, as soon as the first few pieces of sheathing were removed it became clear that the planned approach would not be possible due to the amount of ductwork, AC equipment, etc. between the two roofs. We got the opinion of a structural engineer who advised how to strengthen the upper roof. At that point Mr. Garcilazo told us several times that the cost would change, but he did not respond to our repeated requests by email and phone for a revised quote; instead, he assured us that the cost would be roughly the same since it would not be necessary to demolish the upper roof. The actual work proceeded quickly and well once it began; the flat roof, flashing, and metal work were done very carefully and skillfully. The metal work on the flashing, built-in gutter, and front porch roof was exceptionally good. Unfortunately Mr. Garcilazo's workers did some work on the front porch railing that was not covered in the contract and about which they didn't consult us; we are going to have to hire another carpenter to modify their work to match the previous railing. When the project was all done, Mr. Garcilazo sent us an email asking for an additional $10,045 over the contract price with no credit for the ($9000 worth of) demolition that had not been necessary. When we expressed shock, he asked for an extra $6000 instead. In consultation with our inspector we reviewed the work that was done, determined that some of the costs were excessive (for example $2500 to rebuild the entire upper porch railing, when in reality they had only replaced certain parts), and wrote Mr. Garcilazo a lengthy email laying out what we thought the total cost should be and why. He agreed to that amount, accepted our check for the balance, and signed a statement saying that the work was paid in full. Later, however, he sent us a message saying that we had taken advantage of him and treated him unfairly. He nevertheless fulfilled the contract completely and installed the skylight when it came in a few weeks later. The bottom line is that Mr. Garcilazo and his colleagues are exceptionally good roofers, but in our experience the business side of the operation needs improvement. We hope that he will hire an office person to handle documents and billing so that he will have more time to grow his business. We chose MG Roofing based on its excellent reviews on Angie's List, so we know that our experience must have been unusual; we hope that others will have a better experience and that MG Roofing can grow successfully. 2016 update: The roof and metal work have held up beautifully. We had no leaks or other damages even after the very heavy snow in late January 2016 (Snowzilla). Marvin and his colleagues should be very proud of their craftsmanship. I am not sure if they really fixed everything that I wanted them to and he is also hard to contact. I think I tried to contact him more than once. During the estimate phase he pointed out where costs could increase, recognizing that tearing up unexposed areas might reveal unwelcome surprises. He provided pictures of previous jobs, then kept us updated with pictures of the work in progress as he and his team finished each phase. He brought the job in at the estimated price, and had the capacity to manage challenging situations. He also hauled trash as needed, keeping the work area and the surrounding property tidy and limiting the impact on our daily lives. By keeping a tarp over the work area, he was able to continue the work on rainy days so that the job was completed in a timely fashion. His professional attitude and courteous manner prompted us to hire him a second and third time, including a job that entailed replacing damaged siding on the house. Again, his attitude was professional, his work high quality, and his estimate realistic.  We recommend MG Roofing withou hesitation and anticipate hiring him in the future as the needs of an aging house demand. 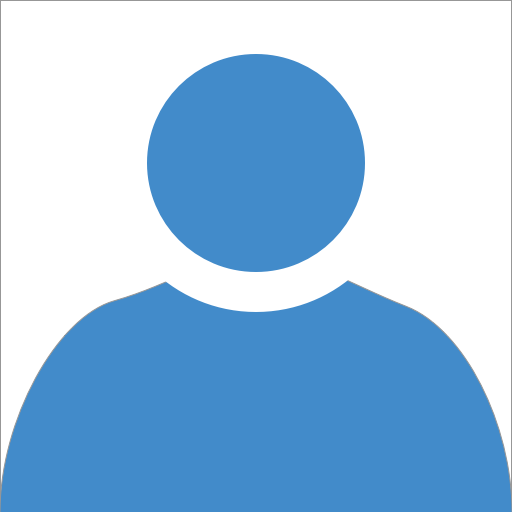 His name is Marvin Garvilazo, and he’s on Angie’s List. He has been in business for eighteen years. His price was very good, he came very promptly, he had a crew of guys who knew what they were doing and they cleaned up nicely after themselves. A couple of things that needed to be done again were done, a metal strip was put around the base so that the contrasting color would look beautiful in the lighting. They were very responsive, very efficient, I think he did a good job and he warrantied it for five to seven years. Marvin and his workers do amazin work and are very affordable. They are hard working, respectful and professional. I would hire them back in an instant. After spending several years with Roofing Solutions I finally started to look for another roofer. I had water damage in several spots which has leaked into my house and caused ceiling damage, with 2 main problem areas that they attempted to fix.The instant Marvin arrived I could tell he was a non nonsense experienced professional. After he inspected my roof he explained why the different areas were leaking, and how to repair them. He also took a look at my near 100 year old metal porch roof. Roofing Solution said they could only use copper or a plastic to replace the roof. Marvin said that he could replace the roof that would basically be identical to the original roof. Marvin did all the work promptly and as estimated. I also asked him to instal an exhaust fan in my upstairs bathroom and remove a satellite dish that was on the roof when I purchased it.Marvin said that my new porch roof would need resealing in 8 years, he also recommended I replace the shingles as well. There is no doubt that I will have Marvin replace my roof when the time comes. Marvin came out to our house personally. My wife and I work full time and have a toddler, so he was willing to come after hours to fit our schedule. Our dormer window to the attic had the apron flashing torn up and a leaking window and siding. Marvin gave a competitive estimate (we checked three other companies) and began work that weekend. The nicest thing about his price quote is that it offered economic and full scale options to fixing the problem. He also offers a 10-year warranty. Marvin's crew worked on a Saturday and ended up replacing the window, flashing, some rotted boards, and asphalt shingling. The work was high quality and the roof is leak free. They're a great company to work. Overall, these guys are serious, expert roofers. Marvin was very fast to respond to all our needs and got the project done blazingly fast. The only negative was partly the result of that speed; the contract was worded confusingly and the price ended up quite a bit higher than I had anticipated from our initial discussion. That said, we should have drilled down further on the details before finalizing it. Marvin and his crew were honest and highly responsive. And in the end the price was not bad given the speed and superb quality of the work. One thing that's for sure, I have no doubts that my roof is in pristine shape. Thanks, Marvin. A tree came down on the back addition of my NW DC rowhouse, so that needed significant repairs; although unaffected by tree, the main roof was about ready to be replaced so got that replace too. I'd used Marvin for repair work before, and found him cheap and thorough (he was also the one to recommend getting a new roof.) I got a couple estimates, Marvin was significantly cheaper. He explained the whole process, told me what materials they would use. He was working on another project but was able to get (6 person) crew to come out and do all the work over the weekend. he emailed me photos throughout the process so I could see what they were doing, and got my approval before every additional cost (replacing rotten rafter, warped plywood), even though they were relatively small. Roof looks great. I'm very pleased. Only minor complaint, is that I had to call a couple times to get the estimate. And he advised me I needed a new chimney, and I asked him to write up an estimate for that, but never got it. however, for all the work he and his crew were punctual quick and able to start right away. We were very happy with the entire process! Unlike larger roofing companies I contacted who didn't call back or charged a fee for an assessment, Marvin at MG Roofing came out quickly, diagnosed the problem quickly, and was able to come out and do the work in a short amount of time. Marvin and his crew were very professional, friendly, and hard working. They sent pictures of the progress of the work throughout the day, which was very helpful because the scope of the work was a little more involved than initially thought and we could see this clearly from his photos. After the work was done, Marvin also contacted us again to check in, which was very helpful.